Everest Panoramic Trekking takes you near the mountains and we are quite sure that you can’t stop admiring the splendid view of mountains. We are many expectations that all Trekkers will come to see some of the world famous mountains such as Everest 8848m, Lhotse 8501m, Nuptse 7879m, Tawachee 6542m. You will also notice Tengboche monastery which is a religious center for all Sherpa living worldwide. Khumjung is the largest village which is situated on the foot of Khumbila Mountain, we have to make trekking way through Everest Base Camp Trek. Everset region will offer you fresh and clean air, wonderful views of the mountains and you will also learn many more things about the incredible monasteries. You even get chance to see the reincarnated Lama, head of the monasteries. Everest Trekking all trekkers will come to know the mysteries of faith and campfire tales of great ascents and awful snowman who is said to live in that area. Tyanboche means a center for ancient religion and it beckons the travelers to Tengboche monastery. It takes other five days to observe Everest Base Camp Trek. 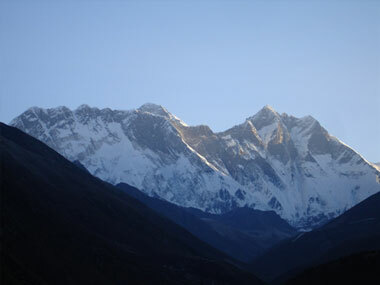 Everest Panoramic trekking is one of the classics trekking in Nepal. It takes nine days, which starts and finish at Lukla, the airport just south of the Sagarmath National park. It is one of the most famous trekking in Nepal. As we venture up to the Dudhkoshi River and Namche bazzar, the scenery grow more spectacular. Namche Bazzar is a gateway of Mt Everest region, situated at the height of 3400m. We will be spending night next to the Thyangboche monastery. Everest panoramic trek will have an opportunity to view Amadablam, Mt. Everest and Lhotse. While doing non-technical climb of Kala Patthar, you will see truly a magnificent and panoramic view of Mt. Everest and other beautiful mountains. Culture: Particularly based on Sherpa Buddhism Tibetan and Hindu. Transportation: Private vehicle as per itinerary | Kathmandu to Lukla and Lukla to Kathmandu flight. We fly on a twin-engine Otter to the Himalayan foothills where we begin Everest Panoramic trek into the Khumbu region. The sights from the plane are amazing, providing dramatic views of terraced hills and the distant Himalayan giants. After landing in the village of Lukla , we meet the rest of our staff and porters and trek for about two and a half hours to Phakding. 05 Trekking Namche Bazaar Acclimatization day. Today is very important day for completing your destination i.e. Everest Panoramic Trek. After reaching Namche bazzar, we take a day off for complete rest and adequate acclimatization before not competing, Everest Panoramic Trek. 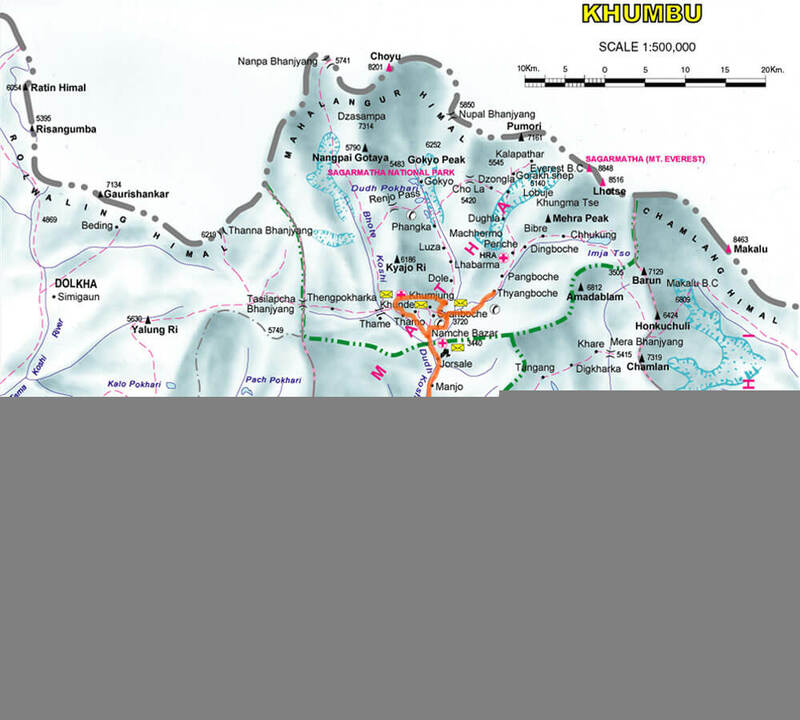 Today, we hike up the Syangboche Airport around Everest View Hotel. From this point, we can see rewarding views of the Himalayas with a stunning sunrise and sunset over the panorama of Khumbu peaks. Overnight stay at guesthouse with breakfast, lunch and dinner included with Tea and Coffee. We visit the monastery at Tengboche, the largest in Khumbu region. Guided sightseeing around Kathmandu Valley with all applicable entrance fees as per our itinerary (Click for tour in Kathamndu).